Mazda Certified, GREAT MILES 15,580! FUEL EFFICIENT 33 MPG Hwy/26 MPG City! CX-5 Sport trim, BLUE REFLEX MICA exterior and BLACK interior. Onboard Communications System, Keyless Start, CD Player, Aluminum Wheels, iPod/MP3 Input. CLICK NOW! iPod/MP3 Input, CD Player, Onboard Communications System, Aluminum Wheels, Keyless Start Rear Spoiler, MP3 Player, Remote Trunk Release, Keyless Entry, Child Safety Locks. 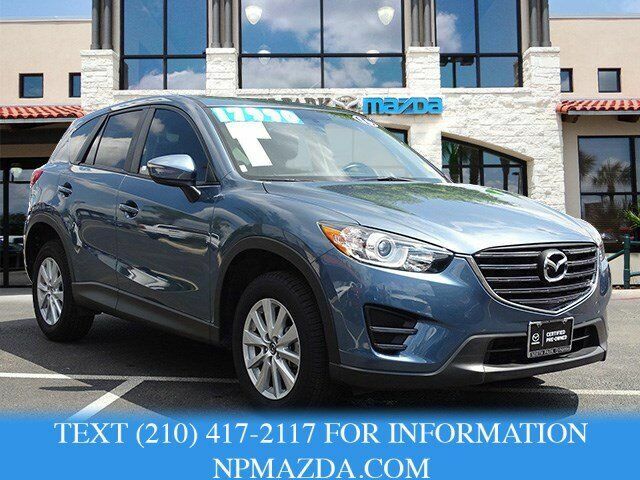 Mazda CX-5 Sport with BLUE REFLEX MICA exterior and BLACK interior features a 4 Cylinder Engine with 184 HP at 5700 RPM*.